Ryvita has been repositioned in a bid to help consumers view the product as a lunch snack rather than a dieting food. 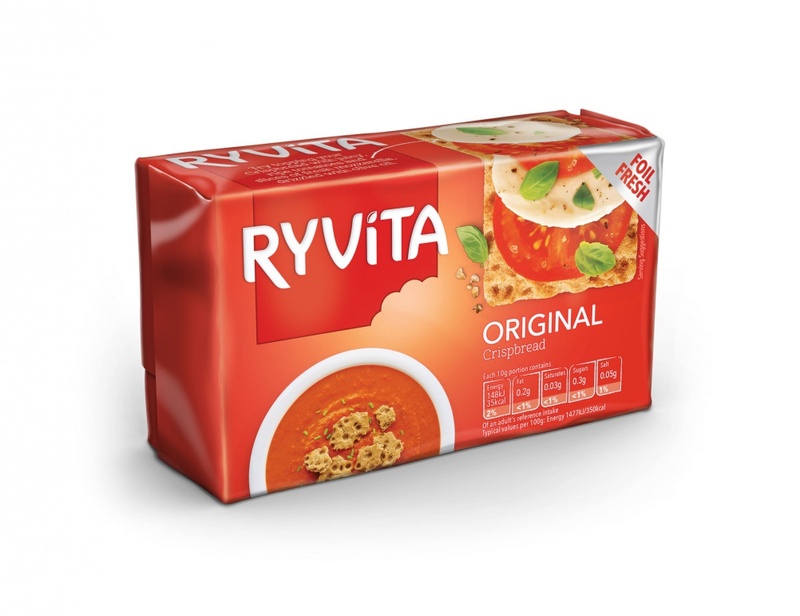 Webb deVlam has redrawn the Ryvita logo, added a bite mark to the identity and designed new packaging. The consultancy says it was contacted by Associated British Foods last summer and asked to “challenge people’s preconceptions” about Ryvita, which is often thought of as a diet food. Webb deVlam creative director JP Hunter says that it is a new client for the consultancy and it was up against the incumbent agency and one other. Associated British Foods charged Webb deVlam with finding a creative solution to illustrating the “versatility of the brand” across the portfolio and reestablish its hierarchy. The main task was to encourage shoppers to think about Ryvita as a lunch choice rather than a diet aid and to give more prominence to the masterbrand. More has been made of the Ryvita red, which now appears on a ribbon containing the logo, and stretches from the front to the back of the pack. A bite mark has been taken out of this to emphasize that the product is “a tasty snack to be savoured and enjoyed” according to Hunter. A new tiered portfolio has been established with Deli and Fruit Crunch making up the premium range and Ryvita Classic sitting just below this. Each contains sub-brands. The foil inner “washes through the substrate wrapper” on premium variants says Hunter. New on-pack photographs were shot, all from an overhead perspective to show the versatility of each variant. Web deVlam hopes this will appeal to people “who have already embraced a healthy lifestyle”. The photographs also indicate the “abundance and generosity” of portions “rather than the deprivation associated with dieting” according to the consultancy. The Ryvita wordmark has been tweaked and redrawn slightly with a seed dot added above the i to delineate “wholesomeness and naturalness” says Hunter – “especially where it appears off-pack”. This is a nice refresh. Unique, top down modern photography style that really shows off what you put on Ryvita.